From the barrage of 'YouTube Stars' comes another fresh-faced musician. 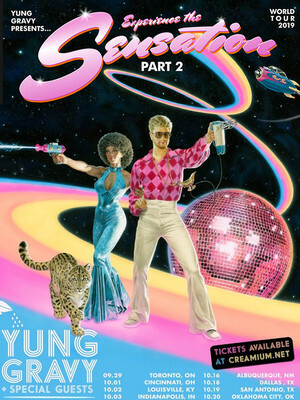 Aptly named Yung Gravy, the star has taken the music world by storm for his heavy use of food references, unique take on trap music, and his fun-loving attitude. Now the 22-year-old heads across North America in his Experience the Sensation Tour! Starting out in 2016, Gravy's ascension to the top has been a quick one. Only recently being signed to a record label, Yung Gravy has worked diligently on cultivating a dedicated fan base. From his half a million YouTube subscribers to his 12,000 fans on Facebook, Gravy is the perfect example of the modern artist. Gravy's uniqueness comes from his use of 1950s art and regularly samples classic tunes on his tracks. Seen Yung Gravy? Loved it? Hated it? Sound good to you? 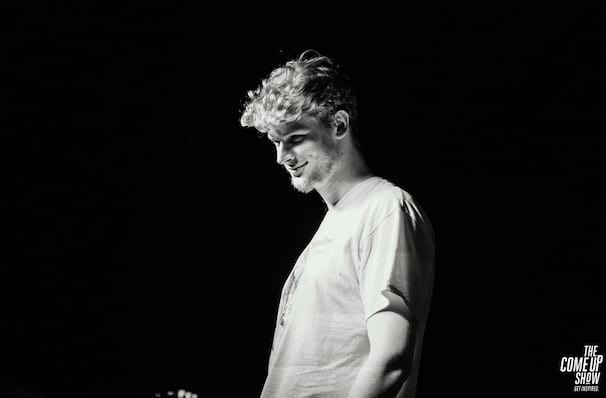 Share this page on social media and let your friends know about Yung Gravy at Varsity Theater. Please note: The term Varsity Theater and/or Yung Gravy as well as all associated graphics, logos, and/or other trademarks, tradenames or copyrights are the property of the Varsity Theater and/or Yung Gravy and are used herein for factual descriptive purposes only. We are in no way associated with or authorized by the Varsity Theater and/or Yung Gravy and neither that entity nor any of its affiliates have licensed or endorsed us to sell tickets, goods and or services in conjunction with their events.